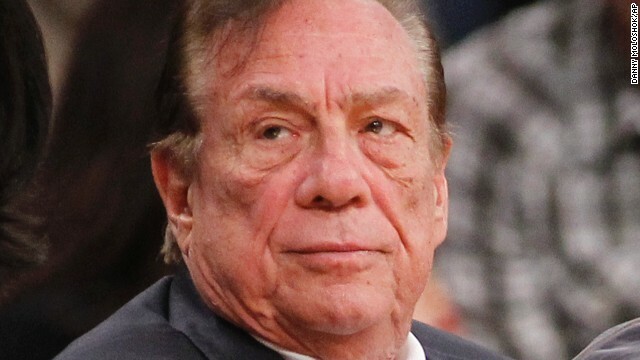 Reports: L.A. Clippers owner Donald Sterling backs out of a deal to sell the team and will sue the NBA. The Obama administration briefs Congress on the Bergdahl release. Hillary Clinton kicks off her book tour. And Donald Sterling plays keep away with the NBA. In mourning: A husband-and-wife team with extremist views shocked a community when they gunned down two police officers and a civilian. The officers were eating pizza when guns were pulled. They had no time to react. Moving across a parking lot, the couple entered a Walmart. A customer with a concealed weapon intervened but was killed when he didn't realize two people were carrying guns. As police closed in, the woman killed her husband, then took her own life. Las Vegas Mayor Carolyn Goodman says the community is in tears. Answering questions: The Obama administration still has plenty of explaining to do after another round of briefings on the release of U.S. Army Sgt. Bowe Bergdahl. Members of Congress want to know more about the prisoners swap that saw five Taliban figures go free. There are also questions about why the White House didn't consult congressional leadership as it moved forward with the deal. More briefings are scheduled today. More abductions: Suspected Boko Haram militants kidnapped at least 20 young women over the weekend in northeastern Nigeria. The area is just a few miles from where several hundred schoolgirls were taken captive a couple of months ago. These abductions are commonplace and often involve ransoms for the girls' release. Not a done deal: Los Angeles Clippers owner Donald Sterling has pulled the plug on the $2 billion deal to sell his NBA franchise. Instead, he will sue the league for $1 billion, media reports say. In a letter obtained by ESPN, Sterling says he never wanted to sell the team and believes Commissioner "Adam Silver acted in haste by illegally ordering the forced sale of the Clippers, banning me for life from the NBA and imposing the ($2.5 million) fine ..." About two weeks ago, former Microsoft CEO Steve Ballmer laid down a $2 billion offer to buy the Clippers. Book tour: Hillary Clinton is out hawking her new book "Hard Choices." She started the book tour with an interview with ABC's Diane Sawyer that aired last night. The subjects were wide-ranging but included the 2012 terrorist attack that killed four Americans in Benghazi, Libya, Monica Lewinsky and the hefty fees she commands on the speaking circuit. The book hits store shelves today. It covers her years as first lady, U.S. senator, presidential candidate and America's top diplomat. It could be a precursor to a run for the White House in 2016. - Epic catch: Weezer drummer Pat Wilson snags a Frisbee mid-song without missing a beat. - How low can you go? This just hurts to watch. - Dog and deer: Zeke the pit bull runs with his new deer buddy. It warms our hearts when our friends in the animal kingdom play nice together. Plus, it's so darn cute. - The future: What would the World Cup look like if an evil scientist replaced the world's greatest players with clones? - On porpoise: Someone forgot to tell Pansy the baby hippo that she's not a dolphin. The police are oppressors, maybe? Of course CNN wouldn't say that, being a government mouthpiece/celebrity gossip rag. About 100 unarmed civilians are killed for every cop that's killed by a criminal. And it's the civilians that are the problem? The government and it's enforcers are orders of magnitude more likely to hurt you than any civilian. 25% of the country has a criminal record – the government has hurt a quarter of the country. The number of people affected by crime is a fraction of that. Unlike the BBC, CNN is not government owned. We are a network of Turner Broadcasting, owned by Time Warner, Inc. As you may know, Time Warner is a publicly traded company. For more information on CNN and Time Warner, please visit http://www.timewarner.com. Their views are not "extremist" at all, they are common American views. Reading the comments on this site would certainly lead on to think that, but trolls are trolls and CNN refuses to act on those reported for trolling, so one cannot really draw conclusions from the vocal minority that spew their toxic hate and stupidity on everyone around them because they can. They did not hold common American views. They held extremist right-wing views. Not all Americans are gun-happy religious bigots.